Beriberi is a disease that occurs because of the lack of vitamin B1 or thiamine in the body. There are two main types of beriberi – wet beriberi and dry beriberi. Wet beriberi affects the cardiovascular system, while dry beriberi affects the nervous system. This condition develops in people who have low levels of the vitamin B1. The risk factors for beriberi include too much alcohol consumption, genetic transmission of the disease, reduced vitamin B1 intake, intake of diuretics at high doses, longstanding dialysis, and surgery of the gastrointestinal system. Beri-beri rarely occurs in the United States because most foods are enriched with vitamins. The side effects of beriberi vary according to its type. People who suffer from wet beriberi may experience faster heart rate, shortness of breath, and swelling of the lower legs. On the other hand, those with dry beriberi may encounter involuntary eye movement, difficulty in walking, numbness or loss of feeling in the hands and/or feet, paralysis of the lower legs, mental confusion, difficulty in speaking, pain, and/or vomiting. This disease may also cause possible complications, such as congestive heart failure, coma, and psychosis called Wernicke’s disease. If not treated, it may cause death. Other symptoms of beriberi include nausea, anorexia, abdominal pain, convulsions, diarrhea and constipation, and impaired growth. The body systems that are harmed by beriberi include the heart and circulatory system and the nervous system. The disease also adversely affects the respiratory, muscular, and ocular systems. The main goal of treatment for beriberi is to replace the vitamin B1 that the body lacks by taking vitamin B1 supplements. 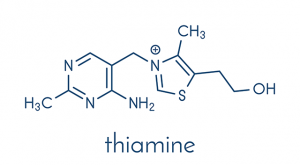 Thiamine supplements can be taken through either a shot or injection or taken by mouth. Blood tests may be taken after the treatment to monitor how the body responds to the treatment. Beriberi is a condition that develops because of the lack of vitamin B1 or thiamine in the body. Beriberi has two main types of beriberi – wet beriberi and dry beriberi. Dry beriberi causes involuntary eye movement, difficulty in walking, numbness or loss of feeling in the hands and/or feet, paralysis of the lower legs, mental confusion, difficulty in speaking, pain, and/or vomiting. Beriberi may lead to other complications, such as congestive heart failure, coma, and psychosis called Wernicke’s disease. 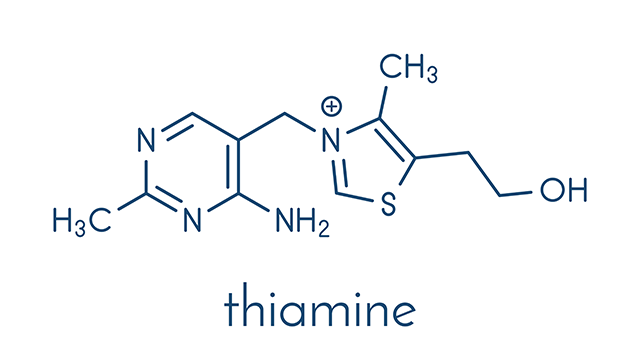 Beriberi can be prevented by eating foods rich in thiamine. Beriberi can be treated by taking thiamine supplements orally or through injection.